The quest for cute Halloween themed origami continues! First we folded ourselves an origami cat. Then we folded these three origami jack-o-lantern pumpkins. 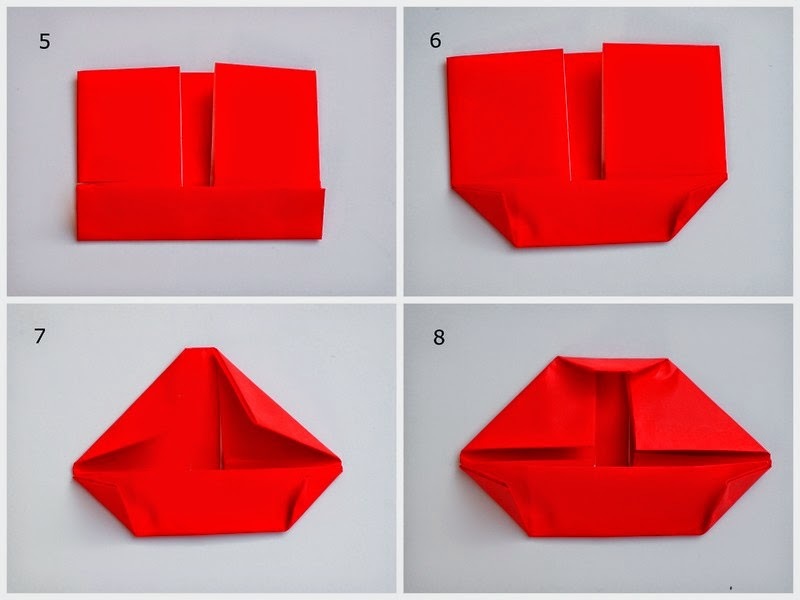 Today, I'm continuing the trend and showing you how I folded up these Origami vampire lips! Now full disclosure here- I'm NOT an origami expert. I'm a complete novice. 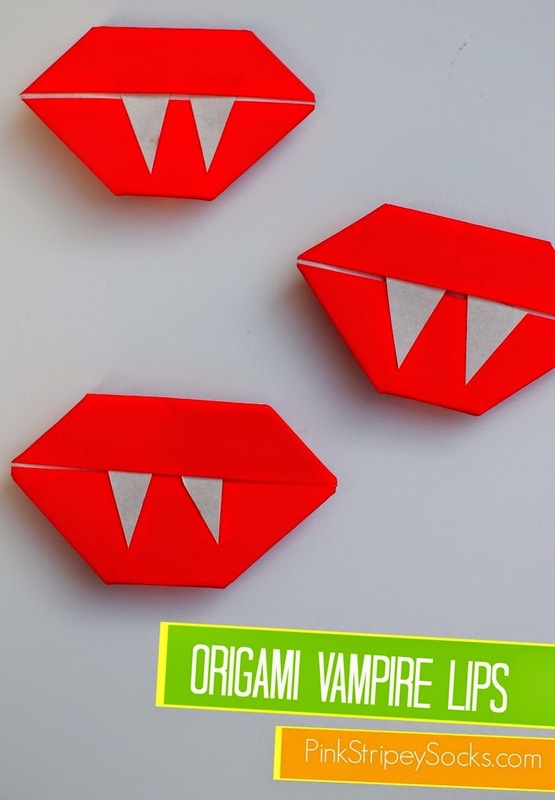 I first saw a tutorial for cute vampire lips from this fun Halloween origami book. However, hubby and I tried and tried... but we just couldn't figure out how to fold the darn thing! So I looked online and saw a bunch of other really hard directions. Since I really liked the way the vampire lips looked, I ended up making up my own way of folding them. So I guess the post should really be titled "Faux-gami." 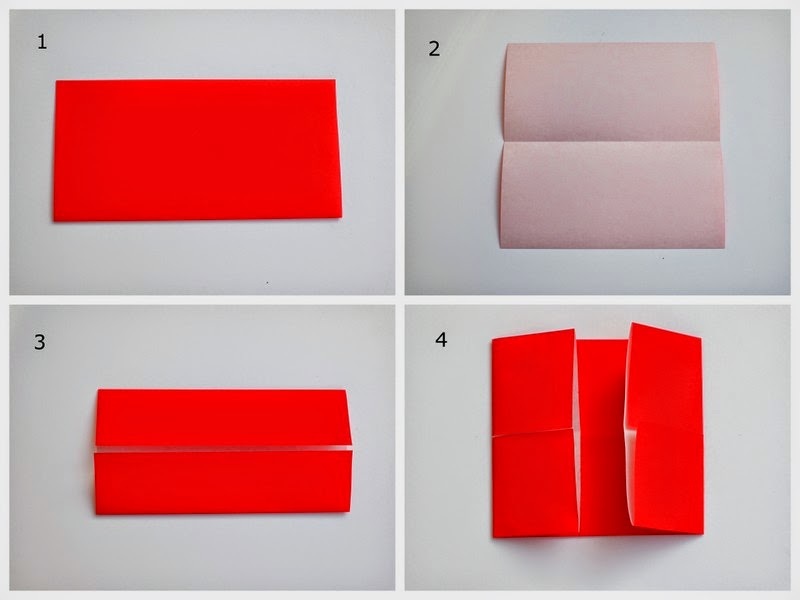 If you want to try this faux-gami tutorial, check out the directions below! I promise you, it's super easy and the results are really cute. Let's fold some Vampire Lips! 2 . Open your paper up. 4. Flip it over. Then, fold both sides over. 5. Fold the bottom of your origami up so that it meets the midline. 6. Fold up both bottom corners. 7. Fold down your top two corners. 8. Fold down the top middle corner. Flip it over and you've got lips! 9. Cut out some fangs from another sheet of origami paper and glue them on. So if you're a super origami pro- please don't throw any sticks and stones my way. I respect your abilities! I just wanted to fold some cute lips.... and I took a super easy way to do it.